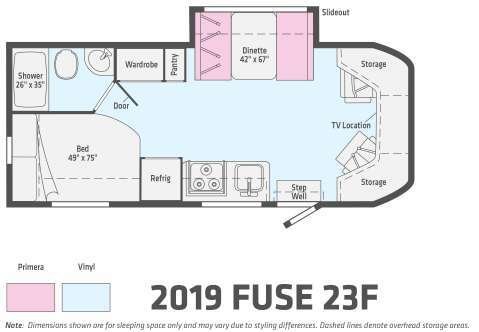 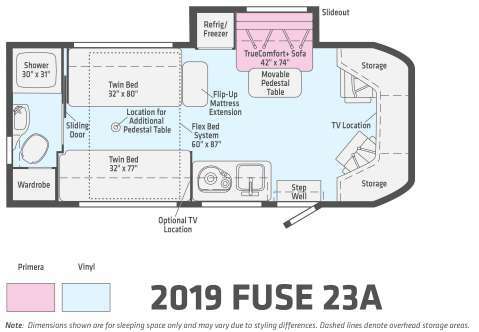 The all-new Winnebago Fuse™ was built from the ground up to cater to your active lifestyle. 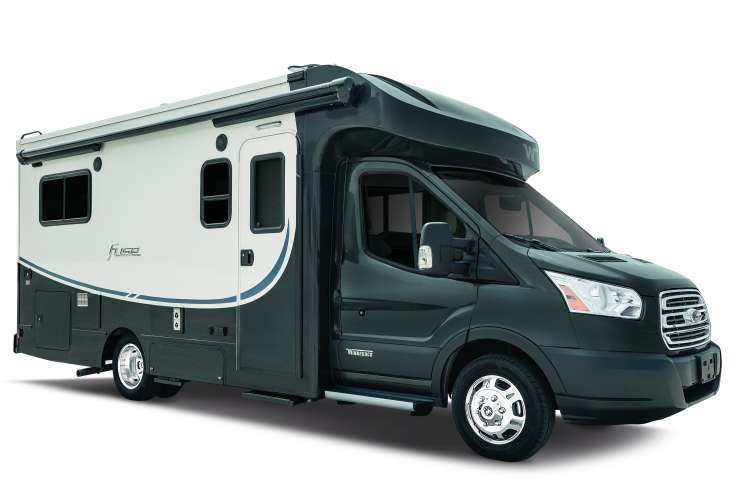 It starts with the new Ford® Transit diesel cutaway chassis and its aggressive nose styling that begs you to cut through the wind on the open road, offering some of the best ergonomics and visibility you will find in a Class C motorhome. 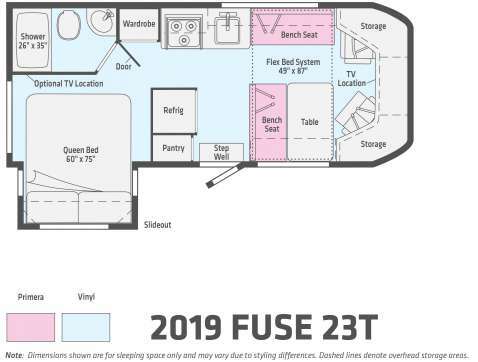 Available bike racks and sizeable rear storage accommodate life on the go, while a private bedroom and overhead entertainment centre are waiting for you when the day is done. 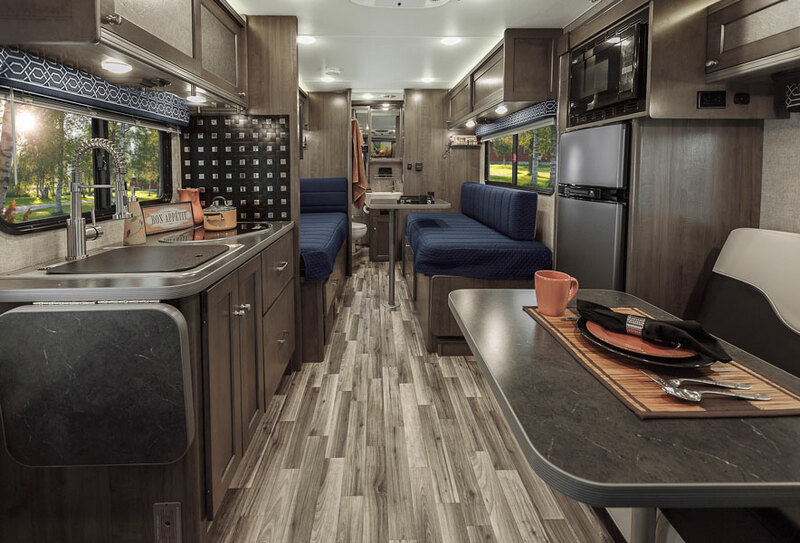 If you have a spark for life, the Winnebago Fuse is waiting. 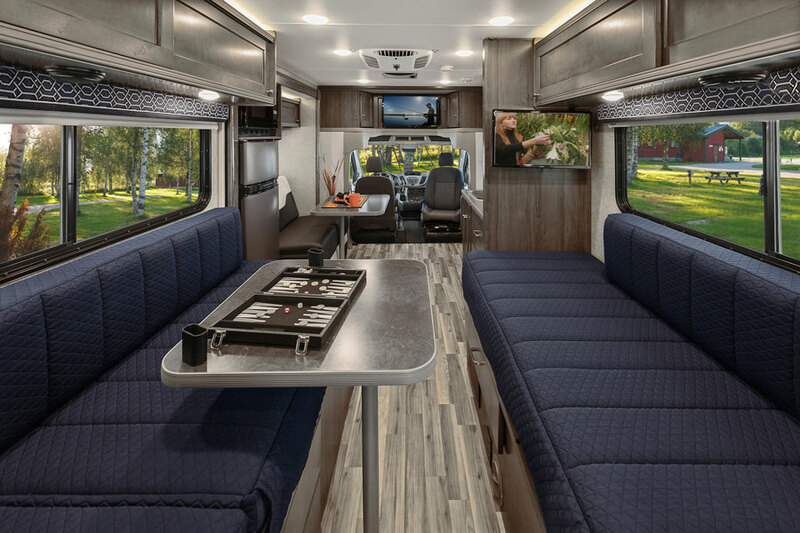 Get yourself behind the wheel and let’s get moving.